Straight from our Dubia breeding boxes, these females can help populate a colony quickly. Statistically, most are at various stages of pregnancy. 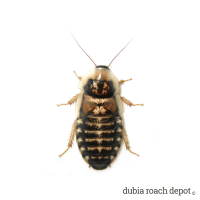 Kick-start your Dubia roach breeding project with currently breeding adult females! They can reduce new colony establishment time by up to 70 days. This is a time savings of almost 40% over newly emerged adult females! New Dubia colonies need time to reach sustainability. This usually takes four to six months, though possibly longer if the enclosure conditions aren’t to the roach’s liking. 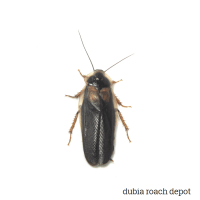 This long wait is due in part to the fact that newly emerged adult female Dubia roaches take around 70 days to produce their first batch of offspring. But you can cut this time with existing female breeders. 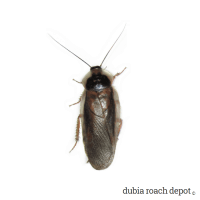 In fact, assuming a three-day transit time, the odds that an order of just 25 breeding female Dubia roaches will contain a new batch of nymphs when it arrives at your door are better than 50/50. When this happens, the time to see new nymphs is effectively reduced to zero! 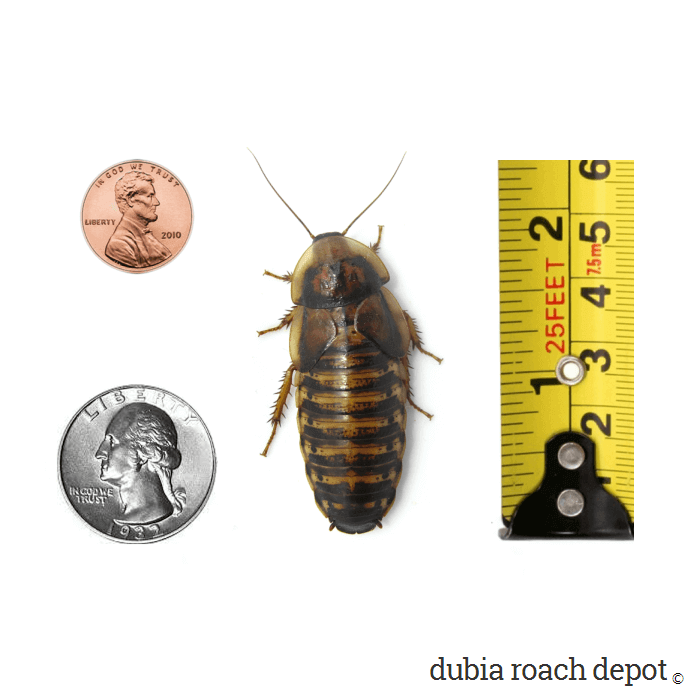 As you might have guessed, Breeding Female Dubia Roaches are adult females selected straight from our breeding colonies. They are literally in the process of breeding. At between 1-½ and 2 inches, they are full-grown – or nearly so. And statistically, most of them will already be at some stage of pregnancy. We select them randomly to make sure that this is the case. Based on the average age of our breeders, a lifespan of two years, and a time to maturity of four months, you can expect an average of 10 to 12 months of solid breeding from these females. This is plenty of time for many new roach generations to reach maturity and begin producing offspring of their own. New adults and nymphs of every size emerge daily once a colony reaches critical mass. While the number of adult females required to produce one batch of newborn nymphs each day depends on many factors, the theoretical number in perfect conditions is slightly less than one hundred. However, in the real world it may take slightly more. Adult females – particularly heavy gravid ones – often benefit from special care after shipping. The best thing for all your new Dubia roaches is moisture-rich fruit like peeled apples and a dark, warm, quiet environment. They are often inactive at first, but that should change in a few days after they recover. 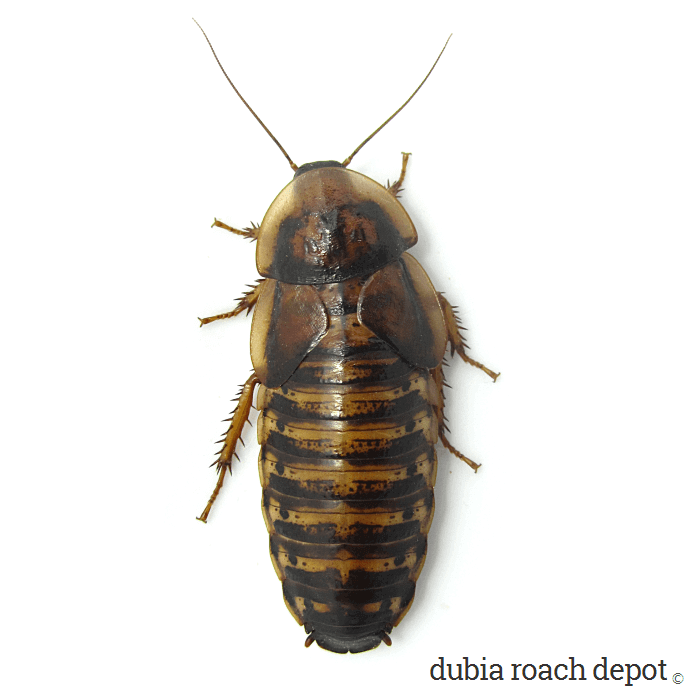 Shipping stresses Dubia roaches, and pregnant females respond poorly to stress. Try to give them at least 24 hours to chill out. Received my large, healthy breeding females today. Packaged well and all alive. Thank you! Second order of 8 adult breeding females arrived today. There were actually 10 inside which was a great surprise. All 10 are huge, healthy and active. Will never order from anywhere else. Shipped immediately after placing order just like my last order did. Also the information provided here is awesome. Highly recommend to anyone looking for feeders or to start a colony. Thank you so much! Their shipping speed is super fast and the roaches I got are very large and look amazing. I will be back!